Bicyclists heading to campus this morning as part of Bike to UT Day received breakfast and the chance to win raffle prizes. But 47 bicyclists also received something else: a ticket. This morning, multiple Austin Police officers were seen pulling over bicyclists heading toward campus on Speedway Avenue, just south of the intersection at San Jacinto. The ticketing occurred just blocks north of Speedway Plaza, where a Bike to UT Day party was scheduled to begin at noon. Police tell KUT the action was part of a "special assignment bike initiative" that began in early February, and focuses on enforcing pedestrian, biking and driving safety near campus. The crackdown is part of the same traffic initiative that lead to the controversial arrest of a jaywalker in the West Campus area back in February. Police are now focused on moving violations in the north campus area. Nearly all of the tickets were written for running stop signs. One ticket was given for going the wrong way on a one-way street. "We receive a lot of complaints," says APD Officer Will Harvey. "All traffic related incidents in those areas – it's really crowded as far as population-wise, and as population increases, there's more traffic congestion. You're putting more vehicles, more bikes, more pedestrians all together. When that happens we have to take some sort of enforcement and education actions." Austin Police say the initiatives are held at random, and they did not choose today to enforce bike because of Bike to UT Day. "It had nothing to do with it. It was just luck of the draw," says Officer Harvey. UT Police say they were unaware of the initiative. Other students on the UT Austin Reddit page also pointed out the number of police on Speedway this morning. Since the initiative began, APD has given out 175 warnings and 128 tickets to bicyclists. 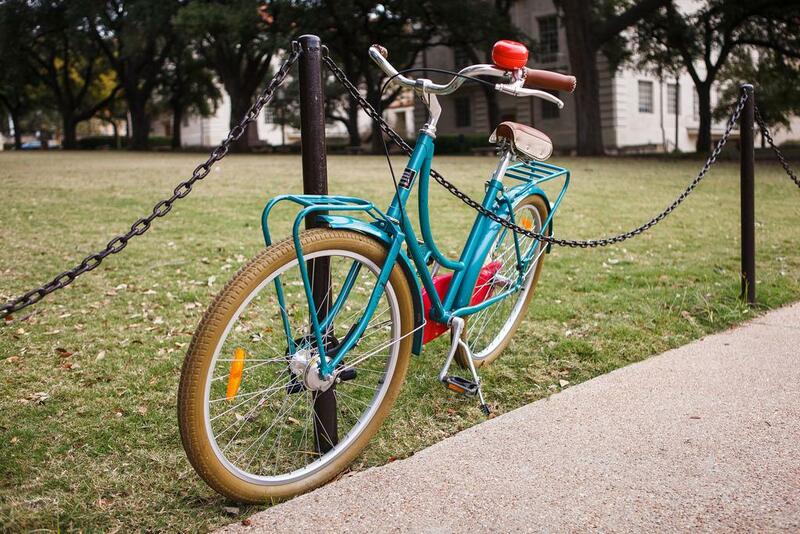 Bike to UT Day is an annual event organized by the university's Parking and Transportation department to encourage biking to campus.